I've shared some evidence for health benefits, talked about successful people who journaled, and shared some silly reasons. And today I want to to talk about Superman. Notice I said I want to talk about Superman... But I'm actually going to talk about kryptonite. 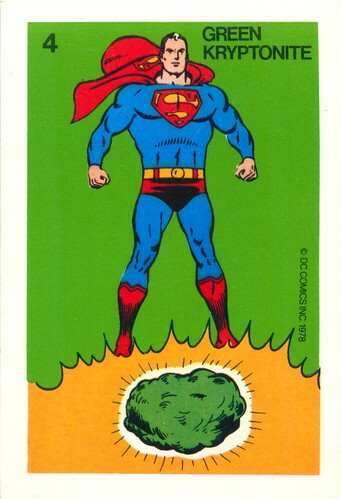 Kryptonite, if you don't know, is Superman's weakness. Whenever he's around this fictional element from his home planet, his strength and abilities are weakened. Not only does it affect Superman, but it also affects humans. In some cases it harms humans, but in other cases humans are actually strengthened. I'm sure you know you have weaknesses. And no, I'm not talking about a little sweet tooth or a love for kittens. I'm talking about a legitimate weakness, something that keeps you from living your life to the fullest. A fault, something that puts you at a disadvantage, an Achilles heel. One thing that journaling has helped me with is discovering and understanding my weaknesses. For example, I'm a people-pleaser, and I hate real confrontation. While I live with the mantra and intention of being true to myself and not caring what others think, I've discovered that deep-down, I'll willingly sell myself out in order to keep the peace and please others. If I have a problem with a friend, I'll write out exactly how I feel and exactly what I want to say to them to stand up for myself and do the right thing. But when the opportunity arises for me to say what I need to say, I back out. I choose not to say it, and I go into damage-control mode instead. I ignore my own feelings and my own needs in order to prevent confrontation, and I allow the other person to be comfortable while I am miserable. Notice what I said there: my fear of confrontation allows others to remain comfortable. As in, it puts the other person at an advantage. And when it's a matter of right and wrong and I chicken out of being bold for the right thing, it causes harm to those on the other side. Like kryptonite, folks. It poisons one, strengthens the other, and kills the third. Since I've realized my desperate need to please others and my desperate fear of confrontation, I've been able to work on those problems. More and more, I've been able to be bold and stand up for the right thing. Yes, I still struggle with confrontation, and I'd much rather have everyone just be friends. I love when everything is all rainbows and unicorns and puffy white clouds! Through journaling, I've also been able to outline my strengths and what makes me unique. I've discovered that my weakness can also be a strength when it comes to volunteering and serving others. And more than that, I've been able to work on my strengths in more inconsequential ways like trying to not care what others think about my clothing or my likes and dislikes. I've been able to focus on who I really am, and what God can do through the real me, without worrying as much about whether people think my love of poetry is weird or my "hairy potter" tee is too obscure. 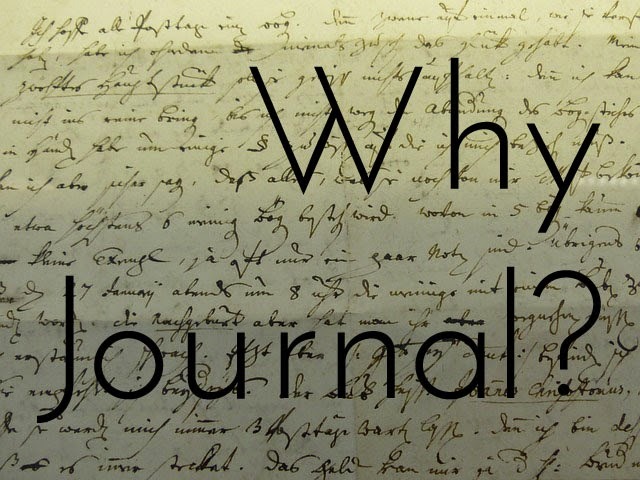 So for a quick recap, what can journaling help you do? Thoughts, concerns, quips, stories, questions, random facts about Superman? Comment below! Disclaimer: There are many different kinds of kryptonite that all have different effects on Superman and his human counterparts, and I'm not getting into that. I'm just giving the general explanation in order to illustrate my point, so if you're a comic book junky and you're offended by my lack of detail, I apologize. Just be impressed by the skill with which I relate superheros and writing a diary.